Registering as a new teacher will allow you to setup a classroom of students and check their progress. Steve Storm and the Tables of Doom is a way for your class to individually practice their times tables at their own level and pace AND have fun doing it. Try the game for yourself to see how it works and how captivating it is for students. You can play as a guest or login and create your own account so that your score and level are remembered. The teacher's login allows you to easily create accounts for all your students. To get started enter your own login details. Then you will be able to set up accounts for your individual class members. We will provide you with an overview so you can keep track of students' levels. Here is a sample overview. Your email is only used to send you the overview. We will not use the email address for any other purpose. The progress of each player is stored online so that students can play at school and then continue at home. NumberWorks'nWords Arcade is a gallery of fun games for practising and consolidating Maths & English skills. 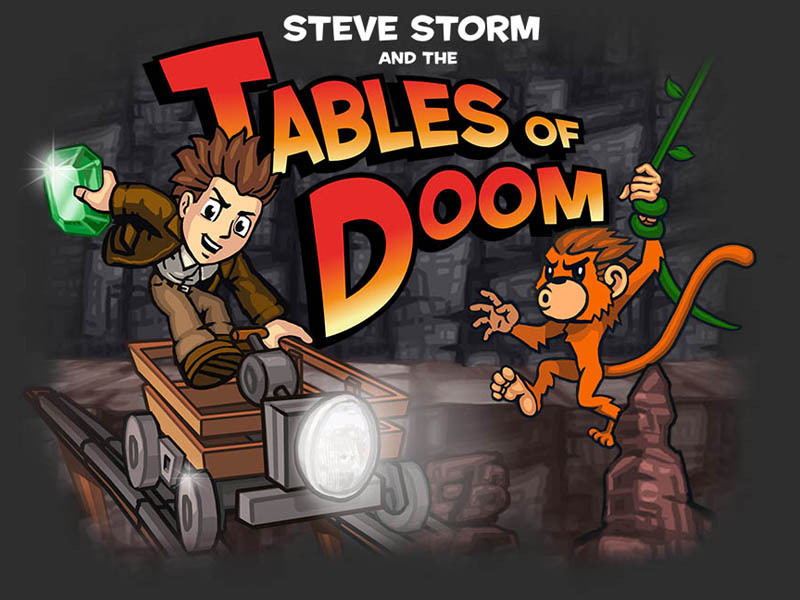 Our newest game, Steve Storm and the Tables of Doom focuses on mastering the times tables in an environment that is engaging and stimulating without feeling like it is practice at all!